From February to September 2014, Claudio Bucher, Patrick Kull, and Brandon Farnsworth, Master’s students at Zurich University of the Arts (ZHdK), and Michael Schindhelm explored how Hong Kong’s cultural situation is changing under the influence of various large-scale projects, such as the development of the M+ Museum (West Kowloon Cultural District) and Art Basel’s taking over of Hong Kong’s art fair. 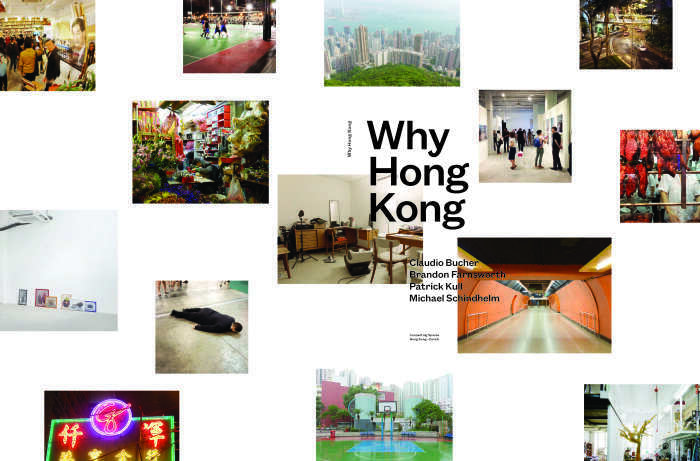 This publication offers readers insights into the research, which included a stay in Hong Kong during Art Basel | Hong Kong in May 2014. Those seeking to understand this city (albeit only one of its many aspects) will soon realise that any such understanding has narrow bounds. They will also recognise, however, that there is something far more important than understanding, namely, experiencing the city as a counter-place to its environs, its history, its (decreed) future. For Hong Kong is a city without any certainties, in which nothing is determined, which is constantly devising counter-concepts to itself, and which is destroying, in a stirring manner, the (postmodern, Western) doubt that the future is (still) possible.